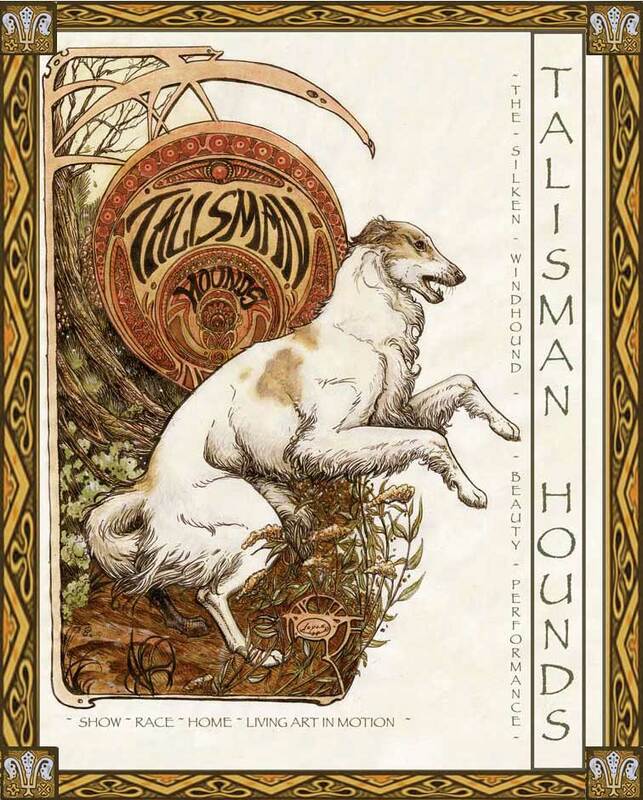 Welcome to the Silken Windhound webpages of Talisman Hounds, home of living, breathing, art . Our focus is on having Silken Windhounds who excel in performance, beauty, and who are exquisite companion hounds. Silken Windhounds for the show ring, racing , coursing fields, and the home. The Silken Windhound is a rare American Sighthound breed we've been working with since 1999.
at straight and oval track races, open field coursing , lure coursing the show ring nationally and internationally , as service dogs, as agilty dogs, and as healthy, lovely companions.